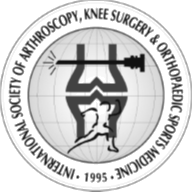 Dr Macgroarty has recently established a post graduate fellowship position for all Orthopaedic Surgeons with a special interest in sports medicine in the field of knee and shoulder surgery. The fellowship is endorsed by the Australian Orthopaedic Association. The fellowship is a six(6) or twelve(12) month position and is open to all qualified Orthopaedic Surgeons. The fellowship will include clinical work at both the Prince Charles Hospital and St Andrew’s War Memorial Hospital in Brisbane, Queensland, Australia. Successful candidates will spend two and a half days per week in operating theatres which will include their own unsupervised lists. In addition, fellows will attend outpatient clinics and learn the skill of office ultrasound in shoulder practice as well as refining their skills in diagnosis of sporting injuries in the knee and shoulder. The successful candidate for each fellowship will be enrolled as a member of the Department of Medical Engineering at the prestigious Queensland University of Technology. All research will be undertaken at this institution or at the Medical Engineering Research Facility which is co-located at the Prince Charles Hospital and includes cadaveric laboratories. The fellowship is exclusively restricted to elective knee and shoulder surgery and there are no on-call requirements. The successful applicant will be expected to work 4 1/2 days per week (Mon-Fri). Any successful candidate will be encouraged to spend time with family and travel so as to gain a full Australian experience. The fellowship is sponsored by DePuy (Johnson & Johnson) Australia. Remuneration packages will be discussed with all potential fellows upon receipt of application. Any Orthopaedic Surgeons who are interested in this position should apply by email to kelly@kneeandshoulderclinic.com.au. Please include a current CV with your email application.